The approximately three billion base pairs comprising the human genome represent a storage device encoding information for hundreds of thousands of cellular processes that can go on within a cell. This information and its organization is partially revealed in RNA transcripts that are potentially derived from 12 billion nucleotides (taking into account that there are two copies of each chromosome and two strands of DNA in each chromosome). The possibility that much of these genomic sequences are non-functional was raised decades ago. The C-value paradox refers to the observation that genome size does not correlate with perceived organismal complexity and that even closely related species can have vastly different genome sizes. The term “junk DNA” was coined to refer to that part of a genome not encoding instructions to synthesize proteins. Since less than 2% of the human genome appears to encode proteins, the term applies to the vast majority of human DNA. The Encyclopedia of DNA Elements project (ENCODE) was launched to catalog all of the functional elements of the human genome and where they are located. 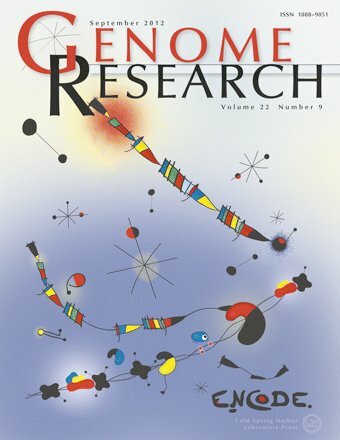 Recently the project has produced surprising results that challenge the concept of “junk DNA.” These showed that more than 75% of the human genome is involved in some sort of biochemical process including making RNA and binding regulatory proteins that control and process this transcriptional activity. These findings raise important questions, including: how much DNA in the genome really is “non-functional”; what do we mean by biological functionality of DNA; and – at the very core of genetics – what is a gene? This lecture will discuss the recent ENCODE findings and their implications for our understanding of genes, genetic structure, and the expression and transmission of genetic information. THOMAS GINGERAS earned his PhD from New York University. He was an ACS and NIH Postdoctoral Fellow with Nobel Laureate Richard Roberts at the Cold Spring Harbor Laboratory, where he subsequently was Staff Scientist. He was Staff Scientist and then Director of Molecular Diagnostics and Assistant Laboratory Director at the Salk Institute Biotechnology/Industrial Associates (SIBIA) in La Jolla. Subsequently he was Director of the Baxter Healthcare Life Sciences Research Laboratory and, concurrently, Adjunct Professor of Pathology at the UCSD Medical School. He joined Affymetrix Laboratories in its early years serving as Vice President of Biological Sciences. Currently, he is Professor and Head of Functional Genomics at Cold Spring Harbor Laboratory and Adjunct Professor of Genetics at SUNY – Stony Brook and at Tsinghua Universities in China. He is an author of over 167 publications and is an inventor on 29 patents. 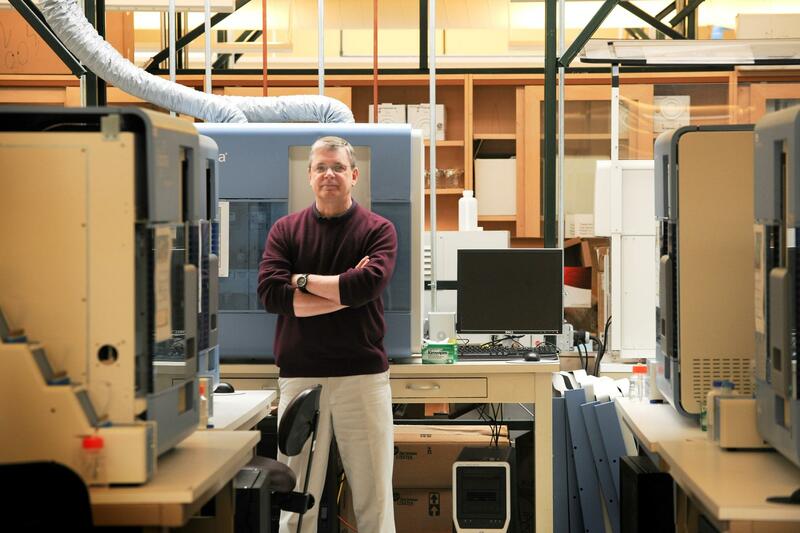 His laboratory at Cold Spring Harbor is a center of the ENCODE project and is currently focused on the organization and regulation of functional information encoded in genomes, and the biological roles of non-protein coding RNAs.